Wonder that the nature hidden between hill pairs joined together with technology, an energy revolution that changed the face of Kerala Power generation was born. 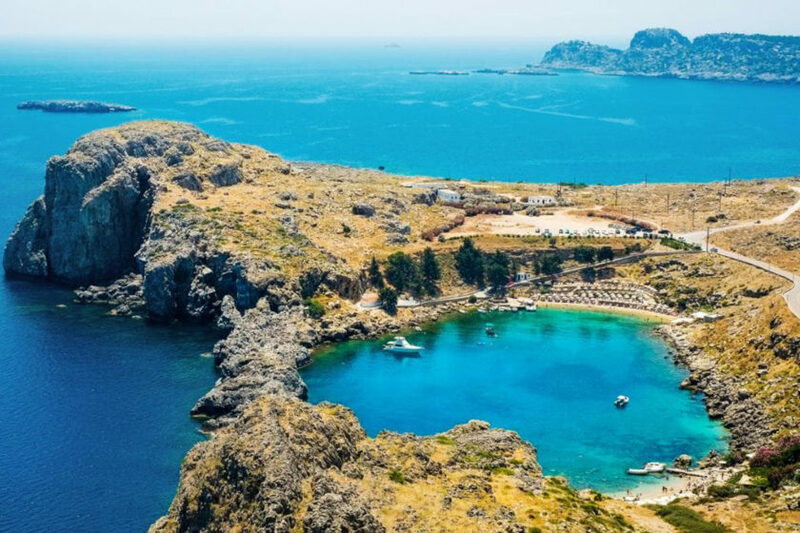 Always this nature’s gift is an attraction for travelers. Dam that is built in across Periyar river between two rocky hills Kuravan and Kurathi is predicted a life of 300 years. It is one of the highest dams in the world and the first arch dam in India. Idukki Dam is located in Idukki district, Kerala. It is a double curvature arch dam. Arched shape on the upstream face that compresses together and strengthens the structure when water pushes up against it. Idukki dam is the first dam In Asia, which is constructed in double curvature arch dam type and second in the world. This architectural marvel is constructed and owned by the Kerala State Electricity Board. 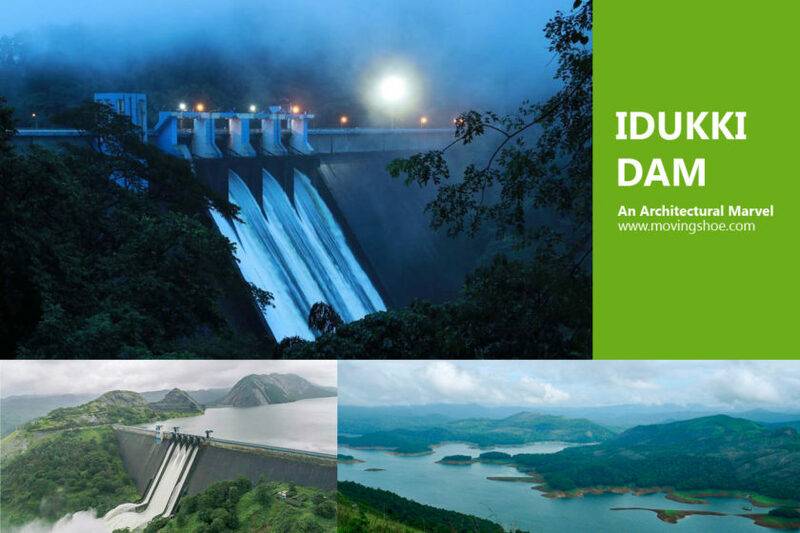 There are many points that we should know about Idukki dam. The Idukki hydroelectric Project is the biggest hydroelectric Project in Kerala. Idukki dam has a height of 168.91 m (554 ft). It has a total drainage area of 250.7 square. miles (649.3 square kilometers). The Full Reservoir Level (FRL) is 2403 feet (732.62 m) and the maximum Water Level (MWL) is 2408.5 feet (734.3 m). 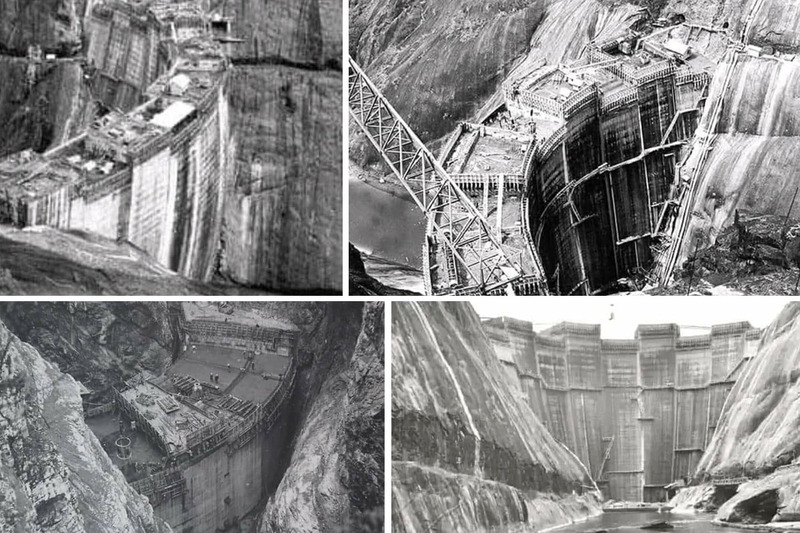 Construction of the dam was commenced on 30th April 1969 and storage of water started in February 1973. 365.85 meters long Idukki dam has volume of 450,000 m3. Even though it has a total capacity of 1,996×106 m3, 1,460×106 m3 is considered as active capacity. Cheruthoni and Kulamavu dam was constructed along with Idukki dam and trio creates an artificial lake of 60 km² in area. The Government of Canada helped in dam construction with long term loans and grants. All these three dam’s top is at same level, i.e, at 736.09 m above sea level. Dam protects Kochi, Ernakulam, western areas of Thrissur district and Periyar river sides from extreme flood. 4,64,000 cubic meters of concrete was used for constructing dam which is having top length of 365.85 meters and width of 7.62 M and 19.81 M at top and bottom respectively. Dam is designed in such a way to resist earth quakes. Stories tells us that ice cubes were used while preparing concrete mixture, in order to reduce the temperature. Arch dam is constructed by joining right hand of Kuravan hill and left hand of Kurathi hill. It is constructed in a ‘double curvature parabolic, thin arc’ shape. In simple words dam has physical similarities to one fourth of a coconut shell. There are inspection galleries in three different levels. Idukki Dam has a curse story to tell, and it is about the Kuravanmala and Kurathimala. ‘Mala’ means hill. Kuravan and Kurathi were tribal couples. Sita and Rama reached Periyar. 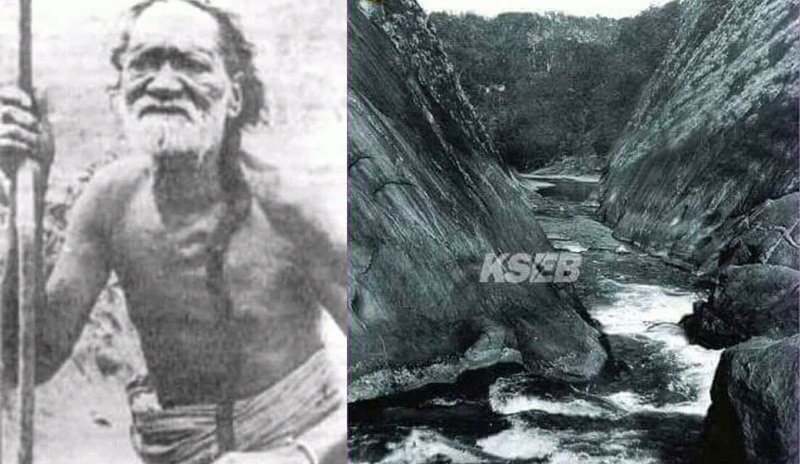 Sita was taking bath in Periyar river and couple Kuravan and Kurathi saw her. Amazed in Sita’s beauty, the couple was staring at her. Rama caught both Kuravan and Kurathi together and cursed them to be rocks. Couple begged for mercy and they told Rama that they can’t be separated. Rama then told them that they would get moksha from the curse, when they are joined together forever. They became huge hills nearby and Periyar was flowing between them. People used to say that, Kuravan and Kurathi got moksha through dam since they are joined together now for ever!!. The three major purpose behind the construction of Idukki dam and supporting dams are power generation, irrigation and promoting Kerala tourism. We see in following sections, how each of the objectives are met. Idukki can be considered as energy source of Kerala. Moolamattam Power house is the biggest electricity generating station of the state. Moolamattam power house is the longest underground power station in India and the pressure shaft present in the station is the largest in the country. Water from Idukki dam is used for electricity production at Moolamattam hydroelectric Power station with an installed capacity of 780 MW. Power house is located inside rocky caves. This power house started power generation on 4 October 1975. Using an underground water conducting system consisting of a power tunnel and two underground steel lined pressure shafts, the stored water is diverted to the underground power house, which is located 43 km away from dam. Power tunnel is of 23 inch diameter ans 6652 feet ( 2027.53m) long. The water conductor system belongs to masonry, straight gravity type and its height above deepest foundation is 328feet. Power station has 6 generators having capacity of 130MW. Power station is 463feet long, 65 feet wide and 113.5 feet tall. There are six turbines of vertical Pelton wheel type and its normal and runaway speed are 375rpm and 625rpm respectively. Moolamattam Power house is located 750meters deep inside Nadukani hill. For construction this Power house. about 84000 cubic meter rock was removed.Only selected Electricity Board employees has access to station. No one else has entrance to station. There six generators together makes power for Kerala. Water coming through tunnel from Idukki dam rotates the turbines of generates. Based on the amount of electricity to be produced, inflow of water will be regulated. Special cables are used to transfer electricity from transformers to switch yard. Two other tunnels are there to in underground for theses cables. These tunnels hence connect Power station to switch yards. One control room is also there in underground, to control machines. From the reservoir, water is taken to Moolamattam Power house through under water tunnels. There is an entrance tower to bring water to tunnel and is situated deep inside the reservoir. After started storing water in the reservoir, the entrance tower is always immersed in water. One concrete tube of 7.01m long is used to connect tunnel and the entrance tower. 153 cubic meters of water flows through this concrete tube in one second. The entrance tower has a height of 30 meters and diameter of 17.88 meters. Water passes through the side and the top is covered with concrete. As mentioned earlier, entrance tower is always drowned in water. When the turbines are stopped suddenly, pressure increases. In order to reduce the pressure of water, surge shaft is place inside Nadukani hill. For controlling water, butterfly valves are there. The pressure shafts are of length 3259feet and one butterfly shaft is present in each pressure shaft located 300 feet away from surge shaft. After the electricity production, the water from the Power house will flow out to Kudayathurpuzha through an underground tunnel and an open channel. This water is utilized for irrigation purpose in Muvattupuzha valley and nearby areas. 4000 feet tail race tunnel and 852 feel long open channel will take out water from power house. Cheruthoni is the largest and highest gravity dam in Kerala. The 453 ft tall Cheruthoni dam is actually the right hand of Kuravan hill. It is located 1 km west of Idukki dam. Cheruthoni dam belongs to straight gravity concrete type dams. It is 2135 ft long at top and the spillway length is 240 ft.
Spillway of the common reservoir is in Cheruthoni dam. In emergency situations, water level in the reservoir is maintained by opening the shutters. Till now, three times shutters were opened. There are five shutters each having 34 feet width and 40 feet height. So this can be considered as the main part of Idukki Dam. 138.38 meter tall Cheruthoni dam is built by re-routing Cheruthoni river, the tributory of Periyar. This dam is built three meters away, mainly to block the overflowing water from Periyar through Cheruthoni river. Also you can enjoy sunrise and sunset from here. For the first time in 1981, shutters are open and that time shutters were repeatedly opened and shut between 29 October and 13 November. Later in 1992 again it is opened and they were kept open for 12 days from 12 to 23 October. 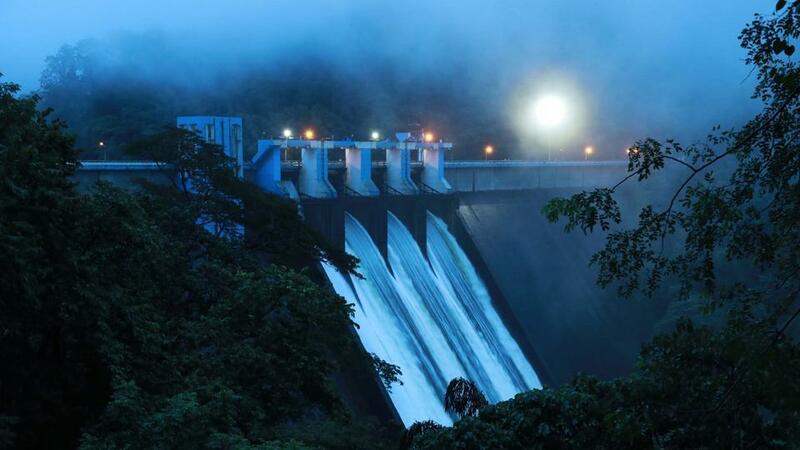 On 9 August 2018, after a gap of 26 years, owing to continuous rainfall, the shutters f Cheruthoni dam in Idukki was opened. This was the first time that water being released during the southwest monsoon season. Also this is the first time that all five shutters were opened. Since Cheruthiny dam is a gravity dam, more concerete has been used for the construction compared to Idukki dam. It as width of 107.78m on bottom and 7.32m on top. There are 4 observation centers and 39 blocks in this dam. Idukki dam itself can’t block Periyar. If only Idukki dam was there, water will overflow through Cheruthoni river. In order to prevent this overflow and to store more water, Cheruthoni dam was built. Rocks from Kuruvanmala is used for construction of both dams. Kulamav Dam is a gravity masonry dam built across Kilivally river, which is a part of Moovattupuzha river. Kulamavu dam, is 328 ft tall, and is located at 30 km west of Idukki dam. You can visit the entrance of Moolamattom powerhouse on your way to Kulamavu Dam. No visitors are allowed inside Moolamattom Power house. Kerala State Electricity Board has built a pavilion on the Nadukani hilltop from where you can enjoy beautiful surroundings of the valley. This is the smallest dam in Idukki hydro electric project. In 1966, construction was started and almost one third is completed in 1969. In 1975, concrete works started and it is constructed into 16 blocks. An Italian engineer Sri. E J Jacob, first conceived an idea of construction a dam in Idukki gorge. In 30th April 1919, he submitted proposal to Travancore government, for construction dam for power generation but got rejected. By considering expense and difficulty in distributing electricity, proposal is rejected. Travancore Government was but favourable towards, Pallivasal Project. Dam is construction is proposed in such a way that it won’t affect any of the forest areas. Also area was uninhabited. Proposed area always gets sufficient rainfall throughout year and hence, ensures that there won’t be any difficulty for power station due to deficiency of water. Later in 1932, W J John submitted report to the Government of Travancore on the possibility of constructing a dam at Idukki for Power Generation. He was the superintendent of Malankara Estate. When he and his friend AC Thomas Edattu went for hunting, they met Karuvellayan Kolumban, tribal head of ‘Oorali’race and he accompanied in their hunting. He showed them the gorge between two hills Kuruvan and Kurathi. John was interested in the gorge and the Periyar river flowing through that. He got the idea of dam from that incident and became reason of Idukki dam construction. His idea is materialised and prepared report with the help of his brother, who is an engineer. They have estimated an amount of twenty six crore for dam construction. Also they have clarified that, above huge amount is because of the rise in price of raw materials all over as the after effect of World War. If the price is reduced, then it will cost only eighteen to twenty crore, they have added in their report. Travancore Government was not positive towards to this report also, because of the expenses. In 1935 project was brought to attention of Government and in 1937 two Italian engineers Angelo Omedayo and Clantheyo Masele conducted study on proposal. But the reports were not positive for the construction. They suggested dam across Periyar along with second dam across Cheruthoni . They proposed that power house on the left bank of Periyar and an installed capaciy of 90MW. Government was busy in launching Pallivasal project and hence for one decade Idukki project proposal was inactive. Again in 1947, Chief Electrical Engineer Sri. P. Joseph John, Former Electrical Engineer of Travancore state submitted preliminary investigation report to Travancore government, after analyzing the report submitted by W J John. Report also mentioned about the diversion of Periyar and Cheruthoni water from the reservoir through a tunnel and penstock to a a powerhouse, near to Arakkulam temple at Moolamattam. Later in 1956, Central Water Commission conducted a detailed investigation and the project report was submitted in 1961. In 1963, Planning commission gave sanction and in the next year, preliminary works started under the guidance of Superintendent Engineer, Sri. E.U. Philipose. In 1963, Canadian High Commission expressed their interest to finance Idukki project and to undertake project based on Canadian Colombo Plan. Canadian Engineers Suweyer Nenniger and Chenevert came here and studied the project. They provide many suggestions regarding augmenting benefits and safety. 1967, Canada made an agreement with 78lakh dollars as supporting amount and 115 lakh dollars as long term loan amount. They proposed to make Cheruthoni dam concrete instead of masonry and Kulamavu dam masonry instead of concrete. Consulting engineers from M/s S.N.C.Inc., a Canadian firm provided technical advice for the construction. With the guidance of engineers like Sri. CV Mathews, construction works begun in 30 April 1969. 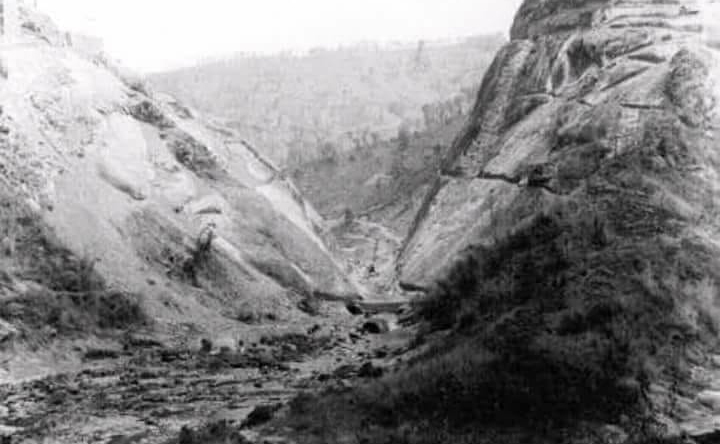 Idukki reservoir started collecting water from February 1973 onwards. In 1976February 12th, the dream came true and on that day, Hon. Prime Minister, Smt. Indira Gandhi commissioned the commercial operation of Power station. Six generators in Moolamattam power house started operating in different stages. Idukki valley is one of the most beautiful places of Kerala. Pleasant climate and valley atmosphere makes it an attraction point of tourists. Idukki plays an important place in Kerala tourism map. Idukki dam itself and its unique construction adds beauty to Idukki valley. Other than Idukki dam, Cheruthoni and Kulamavu dam, reservoir, Hill View Park, Idukki wildlife sanctuary, famous underground tunnels, waterfalls and the beautiful Periyar River attracts tourists all over the world to this nature’s gift. Beauty that the valley offers will for sure take you there multiple times. Arch dam itself is a spectacular place to watch. You can enjoy sight-seeing from arch dam and it will be a breathtaking view of the surroundings, that you can’t forget. Considering security reasons, the dam is open for a visit for the public only twice a year, during Onam and Christmas seasons from 10 AM to 5 PM. We can enjoy the beauty of Idukki valley, that the nature has kept for us during these festival days. For one month, visitors are allowed, earlier it will be opened only for 10 days. During that period, we can have adventurous speed boating in the reservoir. No cameras or shootings are allowed inside and will be verified at the entrance itself. The entry fee is Rs.25 for adults and Rs.5 for children. Boat journey will starts from Kulamavu and will take you through the Idukki dam area for sight-seeing and ends at Cheruthoni dam. Boating is done by Kerala Forest Department. There is separate boating and entry fee. You will get to feel the amazing beauty of Idukki valley. Only one boat permitted to sail through the reservoir on regular days. Also note that, on Wednesday and Saturday, boating service is reserved for the villagers of Chakkimalai, which is an isolated village. 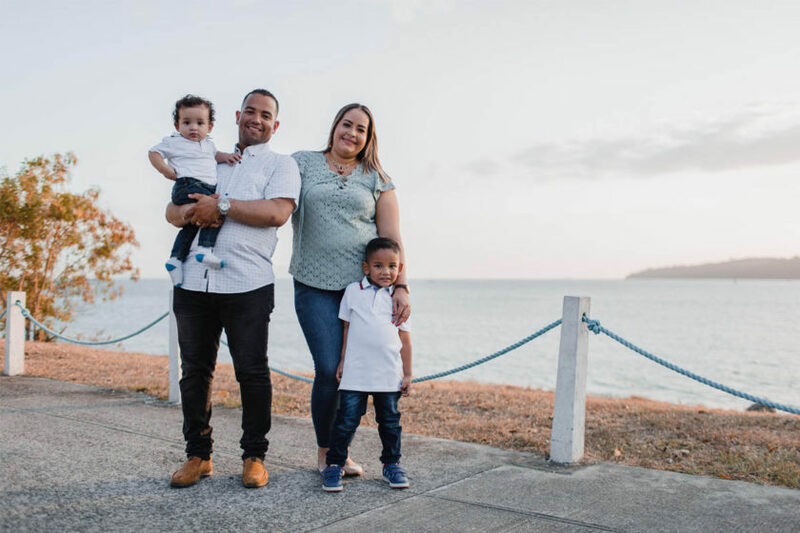 The main aim is to connect them to the outer world. You can do boating journey in all other remaining five days. You can enjoy water birds on the surface of the reservoir, and on the Periyar lake shore, you can see bison, deer, and herds of elephants if you are lucky!!. Boating is open in all days and boating area entry fee is Rs.35 per adult and boating fee is Rs.200 per person. From 9am to 5 pm boating service is available. Based on water level, duration may vary. Idukki Wildlife Sanctuary is surrounded in its three sides by the reservoir formed by the three dams, Arch dam Cheruthoni dam and Kulamavu dam. Wild life sanctuary is spread over two taluks of Idukki district, Thodupuzha and Udumbanchola. Sanctuary has an area of 77 Sq.kms of natural forest and is about 450 – 748 m above sea level. You should not miss evergreen thick forests and the wildlife roaming in their natural abodes. 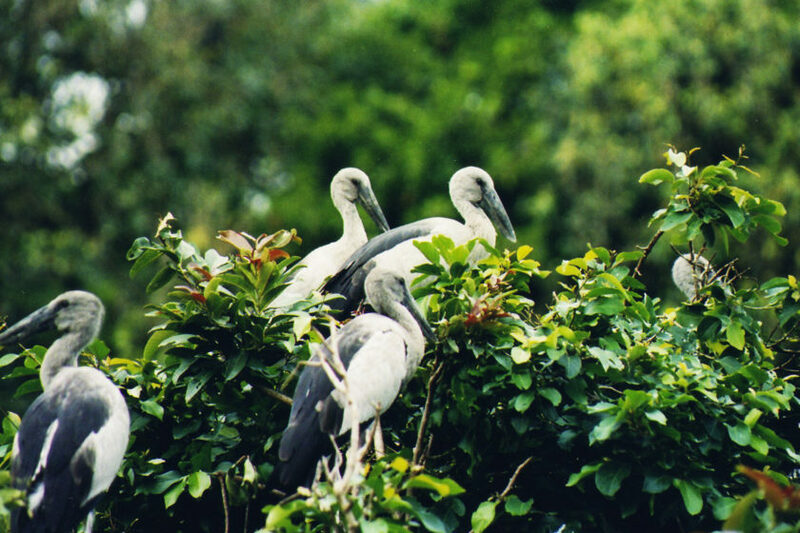 Idukki Wildlife Sanctuary is actually the habitat of a variety of wildlife . You can find elephants, ambar deers, bisons, jungle cats, tigers, wild dogs,wild boar etc. and reptiles such as viper, krait, cobra, and number of non poisonous snakes. Different birds such as jungle fowl, laughing thrush, black bulbul, myna, woodpecker, peafowl, kingfisher etc lives there freely. You can enjoy the wildlife beauty either through boating or from Hill view park. Well-maintained natural garden is available to enjoy the beauty of nature. It is located about 350ft above dam water level. From the Watch tower of Hill View Park , you will get the top view of the dam. 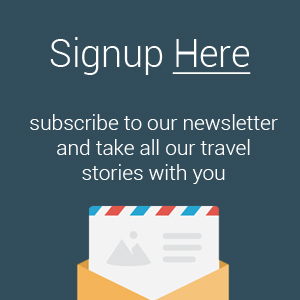 You can relax there, also you will get an aerial view of the Idukki arch dam and Cheruthoni Dam. It is spread over an area of 8 acres. Main features of hill view park is that, herbal garden, children’s play area and the small pond. In that small pond you can enjoy pedal boating. Besides the panoramic views of dam, herds of elephants, deer etc can be seen. The park is open in all days from 9 a.m. to 5 p.m. all days. Many shelters are available inside park. Only in hill view park, photography is not restricted. Tourists can reach Idukki by rail, road and air. 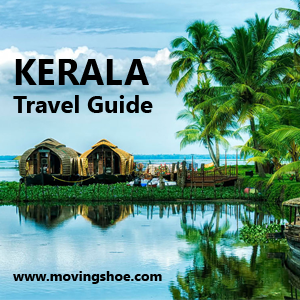 Nearest railway stations are Kottayam, which is 110 km far and Ernakulam, which is 120 km far. Cochin international airport is 98 km away from the Idukki dam. 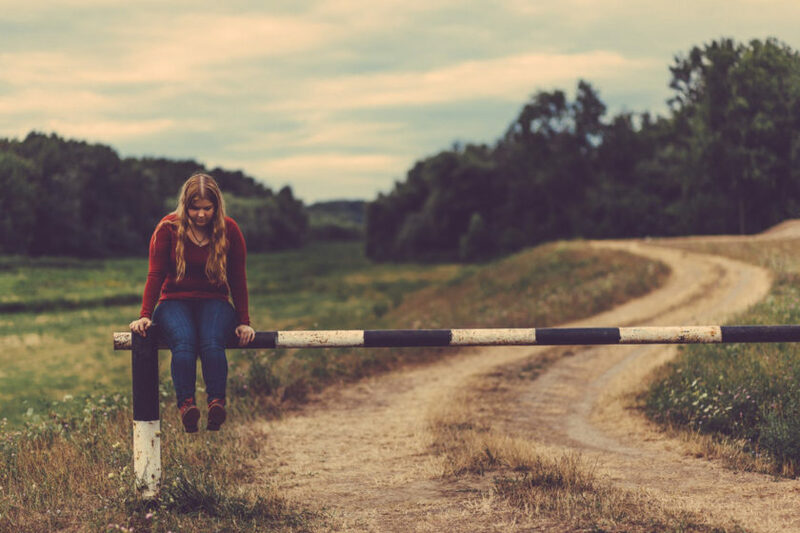 You have to travel through hilly areas with hair pins to reach destination. So it is better to take one private taxi or jeep with an expert driver.